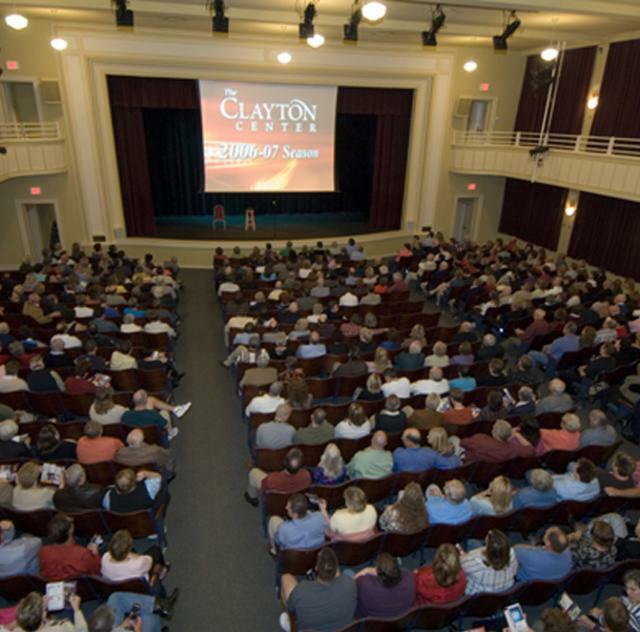 This restored Clayton High School located in Historic Downtown Clayton offers meeting planners, seven meeting rooms outfitted with AV, a 600-seat auditorium for large presentations, and reception space for groups up to 450. The event staff at The Clayton Center is dedicated to making your event or meeting exacting what you envisioned. Description The Clayton Center offers 12,480 square feet of meeting and reception space for groups of 20 to 450. The Auditorium, Lobby Space, Council Room and classrooms offer a diversity of options for small meetings, conferences, social functions, reunions and weddings.